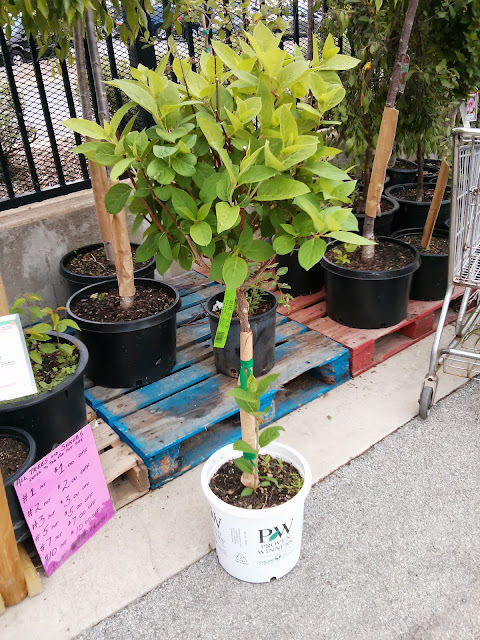 Last week, we stopped by a nursery in Hillside and found a nice Pinky Winky Hydrangea Tree that we loved. The only issue was the price. It wasn't cheap. On Saturday, I took both girls over to Menards and while out in the garden center, I saw the same variety and about the same size, but for less than half the price. Into the cart this thing went. Our plan calls for something like this as a way to add some height to our northern set of beds along our walkway from the garage to our deck. I put it in the ground yesterday after I cleaned up the one sucker near the bottom and gave it a big drink. I've had mixed results with hydrangeas so I want to stay on top of this one water-wise so it has a good chance at establishing itself this summer.